Initiatives-Coeur has made it possible to operate on 155 children over the past five years. 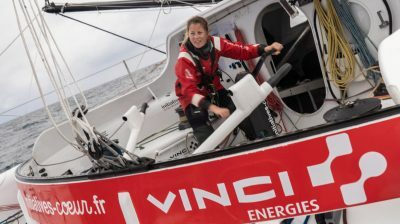 VINCI Energies is performance partner of the Initiatives-Cœur sailboat. The goal of the project, initiated in 2012 together with Mécénat Chirurgie Cardiaque, is to save children born with heart defects who cannot be operated on in their home countries. 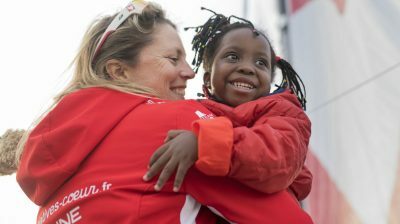 The sailboat’s participation in high-profile sailing races and the funding provided by the partners gives Mécénat Chirurgie Cardiaque strong media coverage and enables it to raise public awareness of its cause. The VINCI Energies partnership is designed to further boost the project by increasing the performance of the boat, drawing greater attention to the cause and thus to save even more children. Above and beyond the sports project, it was the human adventure that prompted VINCI Energies to sponsor the project, which brings together a cause – helping Mécénat Chirurgie Cardiaque save children, a project that reflects our values of corporate solidarity and responsibility – and a British engineer who has become a sailor, Sam Davies. The sail boat participates in several world races.